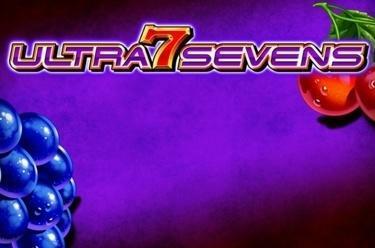 Play Ultra Sevens online for free now! Yummy! Our fruits at Ultra Sevens are fresh and delicious! 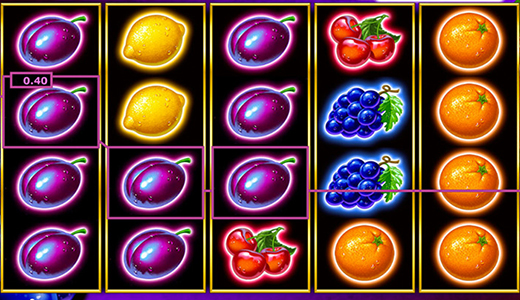 If you land the right combination this slot offers not only Twists rich in vitamins but also a few crisp jackpot versions as the icing on the cake! Get a few Twists for dessert! 40 lines on 5 reels are the base for a sweet winnings dessert. Your aim: Recreate the win lines with matching symbols and make sure that the symbols run from right to left along a win line without interruption! Fill all the reels with the same symbol and get a few sweet extras for your player account: Depending on the symbol you can win 1 of 3 jackpots! Every symbol that you land 20x will get you a share of the jackpot, 20 7s win - if you bet the maximum amount - 100 percent of the progressive jackpot!